Posted 2:02 pm by carlacoop1 & filed under 820 Major Project, EDL 820, mosomelt. Yup, that’s about how I feel, Comfortably Numb! I have submitted my final project, commented the required amount of times (although I will keep reading blogs and probably commenting until Thursday because I like to read your thoughts and progress). I have enjoyed the journey this semester of looking at Google Drive as an ePortfolio platform that can assist students in grades 10-12 as they transition to post-secondary institutions. What I have taken from my research is really this…my research has only just begun, there is so much more to look at and I need more time to collect data from students who graduate this semester. I think this may have been the purpose of the assignment from Stephen and Kristen – to become curious about something and work towards change, even if it wasn’t able to be achieved within the amount of time that was allowed during the semester. I was not able to write a policy for the change I wanted to implement, the tools are available to allow this process to take place already, it is just convincing the division that this is the better method to choose. BUT until I have more data collected, I do not feel that I am able to present a case that will be looked at seriously. I will keep on collecting data and sharing it with my division (who are very open to this pathway of technology use). Hopefully, I will be the change I wish to see sooner rather than later. But I have a positive feeling from conversations with my IT department that it may not be too far off! Posted 12:28 pm by carlacoop1 & filed under EDL 820, mosomelt. Before beginning this blog, I wanted to peek at my classmate’s blogs to see who/what they have picked as a positive note to end on. I have a feeling that my positive may be a bit different, but it is a direction that I am headed in for the fall and have already begun moving towards by procuring equipment, etc. I found Krista’s post extremely well representative of my views regarding the iPad roll in L.A. and how “unplanned” it was. I found myself shaking my head at the county not thinking that their students could not bypass the security systems they have set out – come on – you are have just handed these out to high school students who are digital natives! The programs to block all unwanted materials viewed were not developed by digital natives, rather digital immigrants. A native is going to find their way around the system much, much faster. I also wondered why YouTube??? But, I can understand why we just use it for so much currently like uploading vlogs, etc… that my students have created during PBL and Innovative Deeper learning. 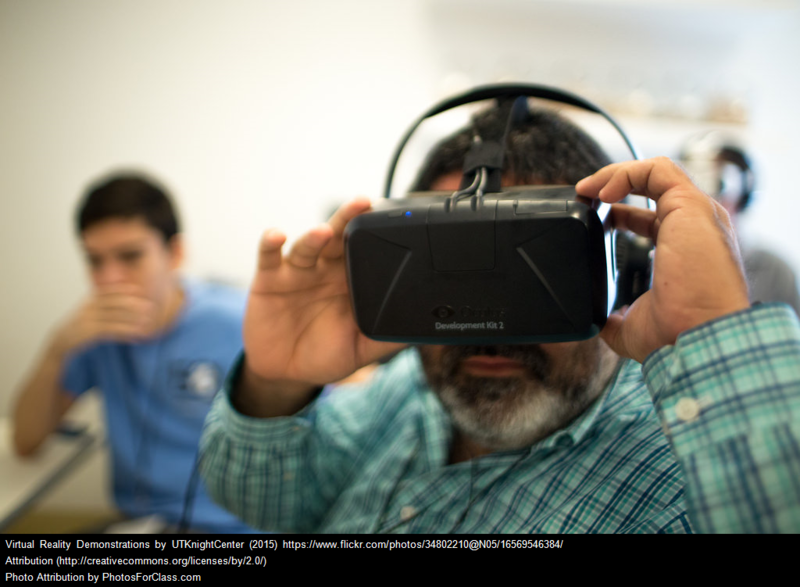 Going back to my first paragraph, I am a big proponent of Virtual Reality in the classroom. This could be because of the subject I teach – it really lends itself well to science at all levels. I found Scott’s and Adam’s blogs to be quite interesting as they showcased all levels of VR that can be used in the classroom. I will let you pop over to their sites to read about the difference between each as there is no sense in re-writing what has already been done so well. Instead, I will focus on the benefits of VR in the classroom and explain the experience that led me to bring this into my class. 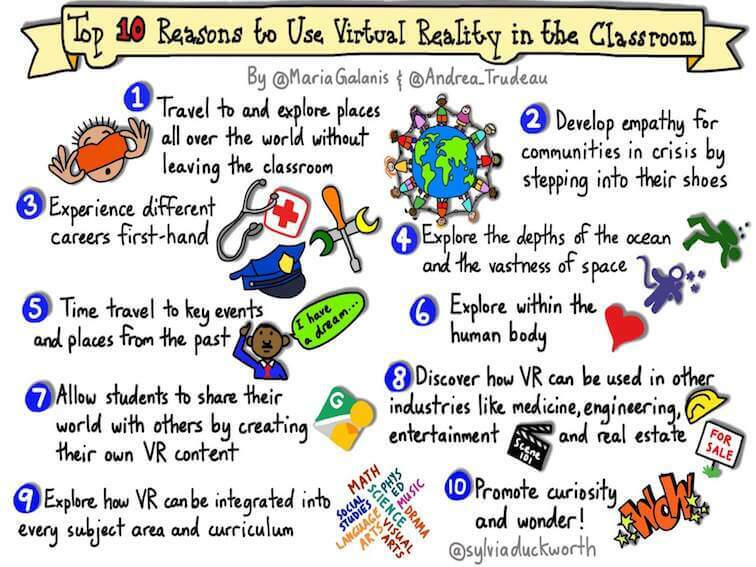 However, I am only one teacher, and I feel that many teachers could benefit from the use of VR in their classrooms. Ashley McCann elaborated on how the immersive nature of virtual reality can enhance our students learning. I believe that there is a place in education for gamification and that VR can help bring together problem-solving, deeper learning and gamification into one package while allowing students to be curious. Using a game based system can give students who need immediate feedback to keep them on track engaged (such as earning badges, etc…). It also has the ability to take students places that we would never, as educators are able to take them by opening up the world to digital field trips or investigations that would be too costly to explore or simply unavailable such as layers of the body systems. I have had the experience of using VR at the University of Saskatoon during Science on Stage Canada, 2018. I met Dr. Sean Maw who is a professor at the College of Engineering. He is using VR in one of his first year engineering classes to have his students build a bridge that will be able to handle a truck carrying a force across it (you can increase the weight of your truck the more confident you are – Newtons). I was so captivated by this experience that I visited Innovation Place in September to discuss the possibility of bringing this technology into my classroom – but to use it in a bit of a different way. Besides being able to build bridges, etc… I want my students to build the chassis of a car and then have another program (not developed yet) send the design to our 3D printers. The idea is that the students can build, test and walk around their cars first before during the creative process, then send it to be physically built, tested, and ran against others. I have begun to collect equipment, we will see how long it takes my dream to become a reality. I have a number of students who would benefit greatly from this and I feel that it would level the playing field in my room, meaning that inclusivity may be achieved through the use of this tool. Would this tool entice our poor attendees to come to school more often? Will VR allow for all types of learners? Kinesthetic, Visual, Spatial, Aural? I feel that my creative leadership style lends itself well towards using VR. Have a look at the following video and see what you think – are you hooked? Note – I did get to experience space in VR – it was UNREAL!!! Take a look at the difference it made in a school in Tennessee. Let me know what you think! I would love to hear your feedback as I learn from everyone and there are many of you who have already ventured where I intend to go. Posted 10:52 pm by carlacoop1 & filed under mosomelt. It’s 3:00 am, and I can’t sleep. In fact, I woke up thinking about my major project and how it has begun to stitch itself together like a fine quilt and unravel like a loved blanket all at the same time. Has this ever happened to you? Gah!!! This is how progress is made, small steps I keep reminding myself, even if things do not happen within our allotted semester time, any small step forward is a success. All of the grades that are using Google Classroom are LOVING it! They are asking me to use it more than my school blog now….. Maybe my blog might become obsolete? I hope not, I like my blog as it allows parents easy access to see what their students are up to daily. And whatever, it is my blog,,, so I will keep it! I have learned that the current grade 8’s from the elementary school in Lumsden are already connected to Google Classroom and their teacher is using it all the time! This will make it easier for me once they come to grade 10 (or earlier depending on my course load next year). There is a way to transfer G-Suite from a student email to their personal email before graduation – BUT who is going to teach this to the students? Whose job is this? Does this mean the school owns the students work and the student doesn’t? So many more questions!! Because I am not an administrator for our school divisions G-Suite I cannot access the administrator reports for my Classrooms. This may be because I am using my personal Gmail account. Big No No – I know! But everything I don’t consider my personal email account mine, all of my school info is in there. This is an issue I am now working on. My students have used their personal email accounts as well because they were having issues signing in with their school emails. I have never, nor will I ever contact a student via Google Classroom and I delete my classroom students immediately after the class is done. However, this is still an issue. So – while my intentions are good, I am bending a lot of rules. AS my project begins to come together, I am left with so many questions, maybe more than when I began? But this is entirely part of the learning process, and I am okay with that. I don’t think that Kristen and Stephen are expecting these projects to be entirely finished at the outset of this class, some of our projects will be an ongoing passion project that may take a bit longer than the four months we have together in this course for our leadership styles to percolate within our projects. Mine will take just a bit longer, I feel that I will need a full school year to collect data (at this point I feel that it will have to be qualitatively done) in order to present it to my division. I do not want to go to them with a weak case, as they are so pro one other LMS usage. You know what? I am okay with that, I will keep on using my Google Classroom – however, I will have students use their own school emails making sure that I am protected. AND now we are back to the original question that began this whole thing…who is going to tell them and give them (the students) the time to transfer their educational portfolios over to their own accounts???? Posted 11:26 am by carlacoop1 & filed under mosomelt. At the provincial level, the Ministry of Education within the Government of Saskatchewan recognized the need for allowing all of our students to become digitally competent citizens. The Millenials that consume our classrooms each day are digital natives, just because they have been born into this era does not necessarily mean that they know how to properly or safely use the vastness that is this technology. 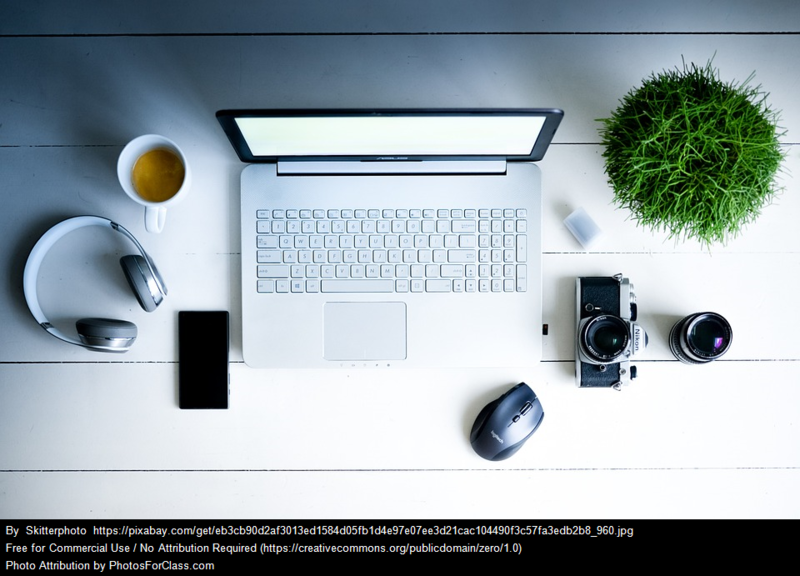 The Technology in Education Framework states that “not only is technology vital the learner…it allows for creativity, flexibility and allows for a greater reach in educational opportunities” (p1). 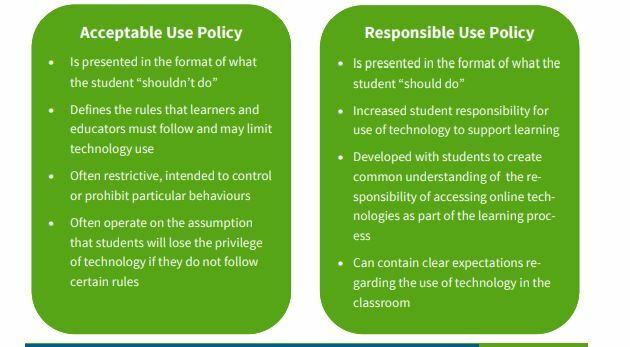 I have chosen to focus this units blog on the view that our provincial stakeholders took at using digital technology to enhance equity in learning for all in Saskatchewan. How can technology allow for this to happen? Just as Dylan stated in his blog, growing up in a larger center can cause one to wear blinders, not realizing that not everyone had access to the internet or computers in their schools – or even being in a larger center being forced to only take the courses offered at your school when you could have been taking courses offered at the DLC (understanding there is a financial undertaking here too, which may further resect some out). Personally, I am a huge proponent of using technology in the classroom to enhance lessons. In fact, I have gone away from using textbooks in my classes entirely. Technology has the ability to allow for learning for all, students can be working on multiple levels at the same time. But, using technology in the classroom also means that I am responsible for teaching the appropriate use of student-based technology. Just because these Millenials have the world at their fingertips, does not necessarily mean that they know how to use it safely and in an acceptable manner. Should educators have to shoulder this responsibility entirely? NO. There needs to be some responsibility with their parents/guardians too. However, considering that our students are spending the majority of their waking hours in school, we have a responsibility to do our part if we are expecting our students to use technology in our systems. I realize that not all schools are equipped with enough computers for all students, therefore our students are using their own cell phones for classes. By allowing students to use their own devices, we are inviting in distractions which have to be managed. Great – yet another thing for our classroom teachers to try to manage. Or is it? I caution those who are quick to complain about this. Recently Ontario has decided to ban cell phones in classes beginning at the start of the 2019-2020 school year. I am curious how this will pan out. I understand that concern about the distractions, but a student can be just as distracted while on a laptop as they can be on a phone. I understand that they are faster on their phones with the distractions, however, distractions are always there. I am concerned that this ban will narrow the educational experience to those in remote areas who do not have access to technology that those in larger centers do. My other concern with this is: What if it pans out well, although Saskatchewan believes that technology enhances equity and learning for all, will we follow suit and ban cell phones in our classrooms? Will this then become inequitable for remote areas? How will our classrooms adjust to still function within the government mandates? Posted 9:24 am by stephenaiello & filed under mosomelt. Stuart Cook and I were asked to present as a keynote speaker for the 2019 SoTEL symposium in Auckland. Advertised as “trendsetters”, I ensured that I put on my best attire and Cookie and I decided to present on our recent dabble into Mobile Mixed Reality and immersive simulation. Now of interest, the word dabble has not been used willy-nilly here, dabble by definition relates to the immersion of (one’s hands or feet) partially in water with gentle movement. The idea, of course, is to have a sensation of subtle feeling and movement with the soft resistance as the hand brushes the water offering an enjoyable experience. So okay, I may have pushed the analogy a little with my play on dabble, but the reality here is that this project is all about immersion, feeling and movement. Within a design-based research methodology in relation to technology our use of virtual reality technology hopes to offer not only an enjoyment but an authentic learning experience. Our presentation involved the authentic use of mobile devices and Virtual reality (VR) to enhance and develop Paramedic Immersive simulation. We identified design principles that utilise a mash-up of mobile social media as a simple framework to design learner-generated authentic learning environments that stimulate student critical awareness of clinical practice risks via Mobile Mixed Reality (MMR). We went on to discuss how we hope to enhance clinical simulation by utilising MMR for a more authentic real-world clinical scenario. Cookie and I provided almost 100 self-assembly Google cardboard VR headsets for the audience, which I personally put together. This itself was a blessing as the assembly of these headsets was a nightmare!! As an example, I provided each of our PhD lecturers with a flat-pack headset to assemble and with a wry smile I sat back and watched the frustration and annoyance as each of them tried for over half an hour to put these bad boys together. So on the eve of the symposium and after five hours of putting the headsets together, and feeling slightly exhausted, I was able to get a good nights sleep prior to our presentation with little or no anxiety or stress. The symposium itself went well. We had some nice conversations and made some interesting contacts following our talk. From listening to others within the symposium it was nice to see that our design-based research approach is seen as an important method when developing research. For me, this validated our work to date and gave me confidence that we are working toward something that is not only important for our student learning but also an accepted approach to research. So, my first keynote talk was a positive experience and one that ordinarily I would be quite nervous about. So thank you Google cardboard for taking the stress out of the event and offering those that attended an interactive, immersive Dabble into pre-hospital simulation.